If quirkiness and true individuality are the most important things you look for in a home then Savills have the perfect property. 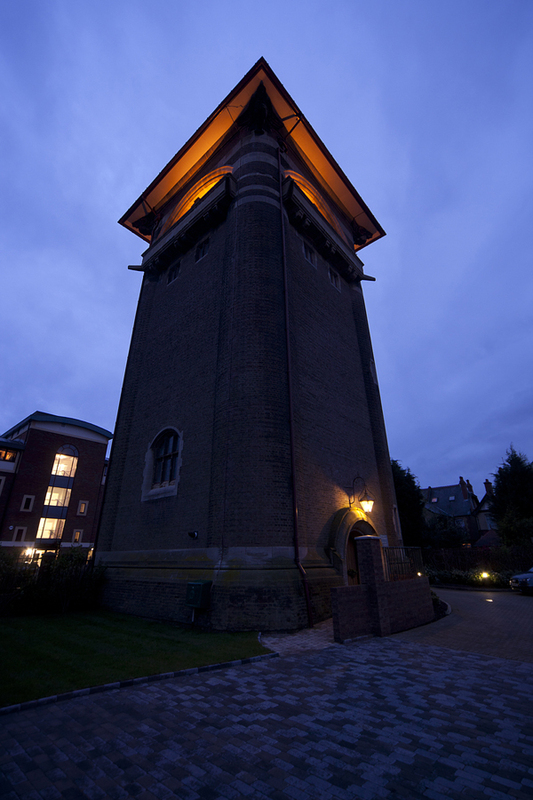 The Bailey Water Tower is a really unusual property on West Hill Road, Luton and is guaranteed to make your heart skip a beat. There is no other way to say it – this is an imposing and impressive building that is the closest you will get to your Englishman’s castle without setting up home at Balmoral. The Grade II listed property has been transformed into an attractive modern home, with a spectacular quality of finish and masses of style throughout. The care and attention paid to the iconic building is impressive and the conversion has been carried out incredibly carefully to ensure this is a practical yet highly unusual home. 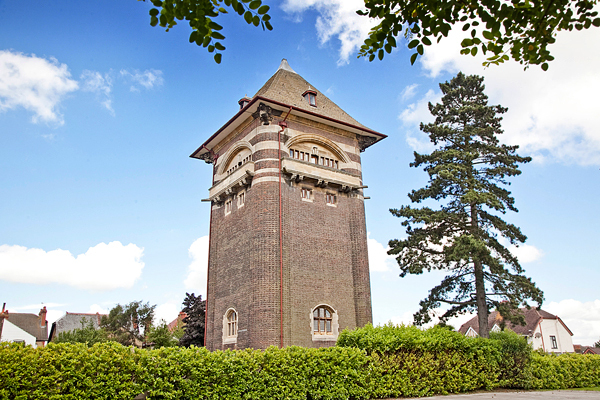 Designed by Henry T Hare in the arts and crafts style the building was constructed in 1900 to supply water in Stopsley Park. It was decommissioned in 1960 and is now a wonderful residential property. 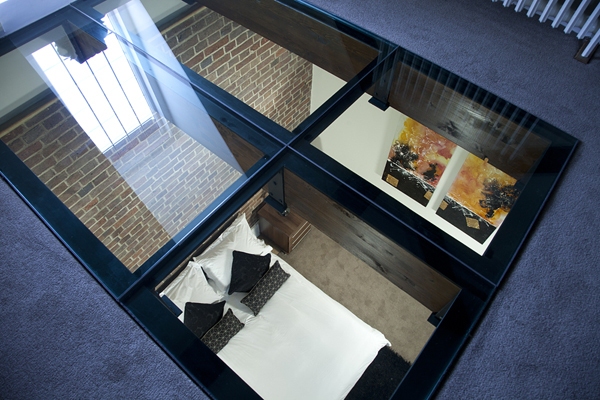 Accommodation is set over six principal floors plus a mezzanine over the master bedroom. 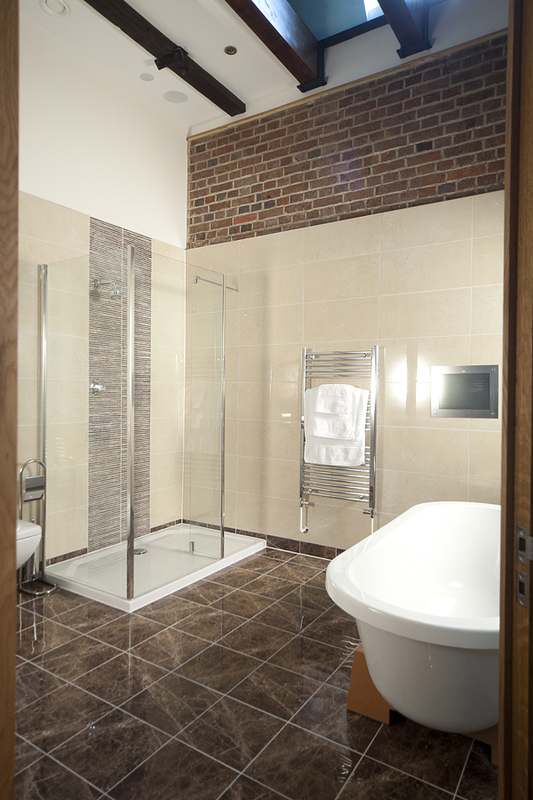 Luxury is the key theme throughout, with fixtures and fittings enhancing the style at every glance. Cutting-edge technology is also found at every opportunity. But all this is done so carefully that the stylish and contemporary interior works alongside the magnificent historic building. Returning home to the Bailey Water Tower really will feel like coming back after a hard-fought battle with fellow knights. The solid oak arch front doors open to the kitchen/living room, revealing the first glimpse of impressive rooms. 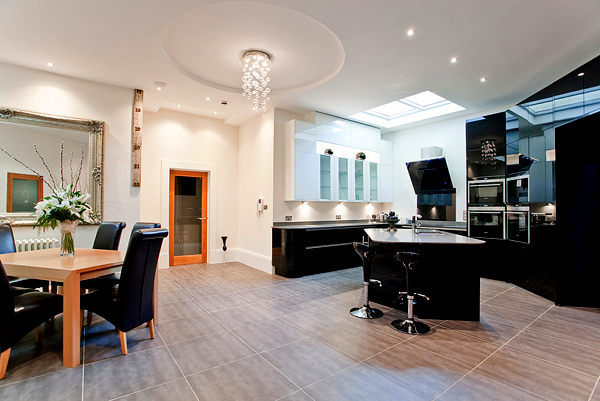 The kitchen is clean and modern, with plenty of space. The oak staircase leads to the first floor living room, which boasts a domed ceiling and glazed floor. On the second floor the home cinema is a real feature, plus there is a shower room, so the cinema could be converted to a gym for more active residents. 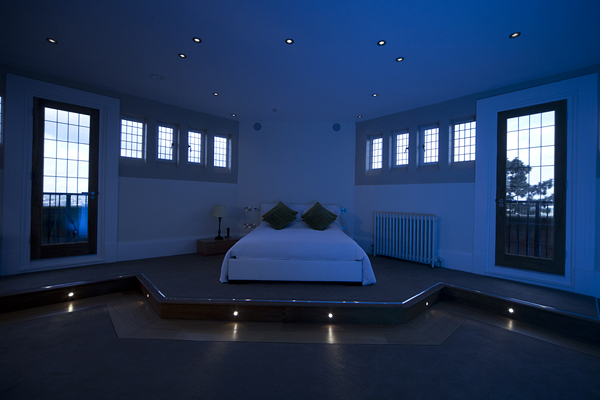 The third floor comprises two double guest rooms with en suite bathrooms, and the principal bedroom with large picture windows and balconies for impressive views over the town is on the fourth floor. 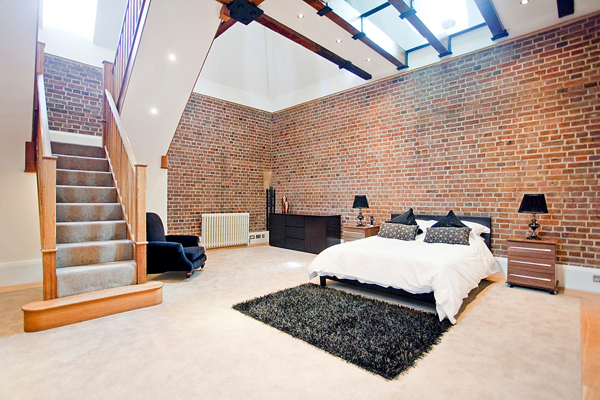 The master bedroom is at the top of the tower and has a vaulted ceiling and the mezzanine floor. If all those floors seem a bit daunting then residents can take the lift instead. 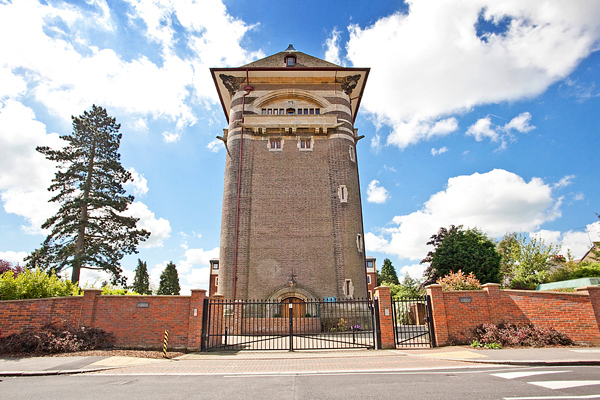 Bailey Water Tower is perfectly placed for those working in London, and close to excellent private schools, shopping centres and recreational facilities.